Above: My father, Emmanouil, as a soldier in the Greek- Turkish War (1919- 1922). 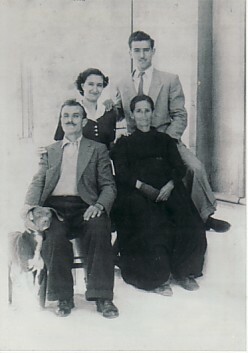 Above Middle: The Malliaros family- my parents, Emmanouil and Irini, and my sister, Maria. 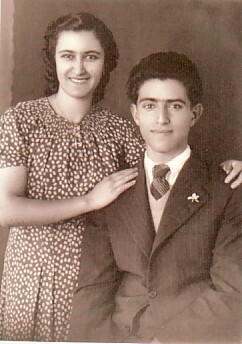 Above Right: With my sister, Maria. 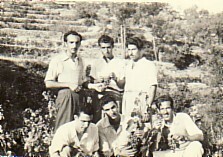 Above: In the top row are: Fotios Athinaios, myself and Efstratios Geratlis. 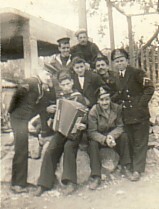 In the bottom row are: Emmanouil Mallis, Georgios Napliotis and Emmanouil Pitsiladis. 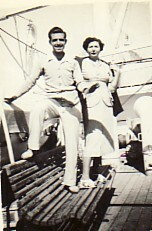 Above Right: On my way to Australia (1955). 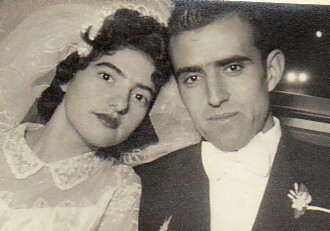 Above: With my wife, Paraskevi, on our wedding day. 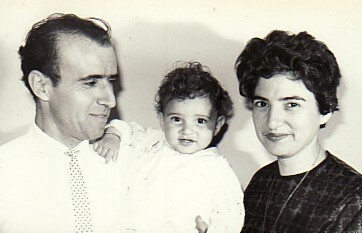 Above Right: With my wife, Paraskevi, and our son, Emmanouil.